THE MYSTERY behind the 'Yanny/Laurel' soundbite that's divided the internet has finally been solved. "Yanny" devotees will be bitterly disappointed, with the voiceover artist who recorded the explosive four-second clip revealing it is in fact, "Laurel". In an interview with NBC, Jay Albury Jones, 64, said he recorded the word, along with 36,000 other words and phrases, a decade ago for Vocabulary.com. "I wound up recording about 36,000 words and phrases, the whole process took about two or three months." But those who were rooting for "Laurel" the whole time shouldn't get on their high horse just yet. The audio has been manipulated, and just like blue/gold dress debate that lit up social media, there is no right or wrong answer. HOW DOES THE SOUNDBITE WORK? The manipulation has been dubbed an 'earlusion', and if you change the pitch, or adjust the bass, you can then brag that you heard both words. 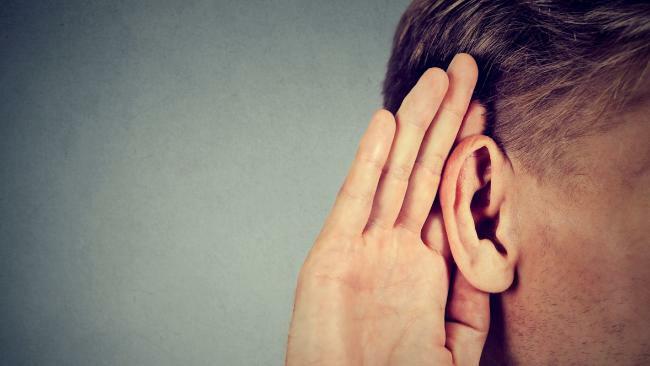 Suzy Styles of Nanyang Technological University, Singapore, took to Twitter to debunk the contentious audio clip, concluding that it was a piece of audio trickery. "There's just enough ambiguity in this fairly low-quality recording that [some] people are hearing it one way and some people are hearing it another," Arizona University's associate department head of speech, language and hearing sciences Brad Story told Vox. Vox reported that people tend to focus on three different frequencies when listening to speech, and Mr Story said for the L's and R's that make up "Laurel", the lowest of the three frequencies is "absolutely essential". "So when you're listening to 'Laurel,' the reason you get L, R, and L is because of the movement of that third frequency," Mr Story told Vox. But "Yanny" has an almost identical consonant pattern as the L, R, L in "Laurel", which creates the audio illusion. "Typically, if you have a high-quality recording and you're listening on a good device of some sort, you're not ever going to be confused by those," Mr Story told Vox.